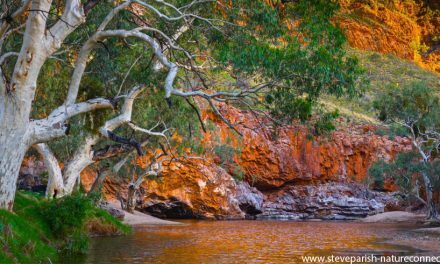 At the age of 16 I was living in north-east Victoria, a stone’s throw from some of the state’s most beautiful parks. I did have a love of the outdoors and an interest in social and environmental issues, but I mostly just spent my time getting up to all sorts of mischief. 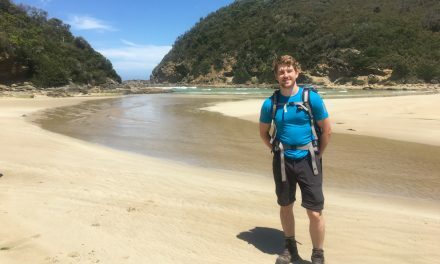 This is part of the reason I was so amazed and inspired when I heard about 16-year-old Ally Durr, who is setting off on December 8 to solo-hike the Australian Alpine Walking Track, raising awareness for Lyme Disease. 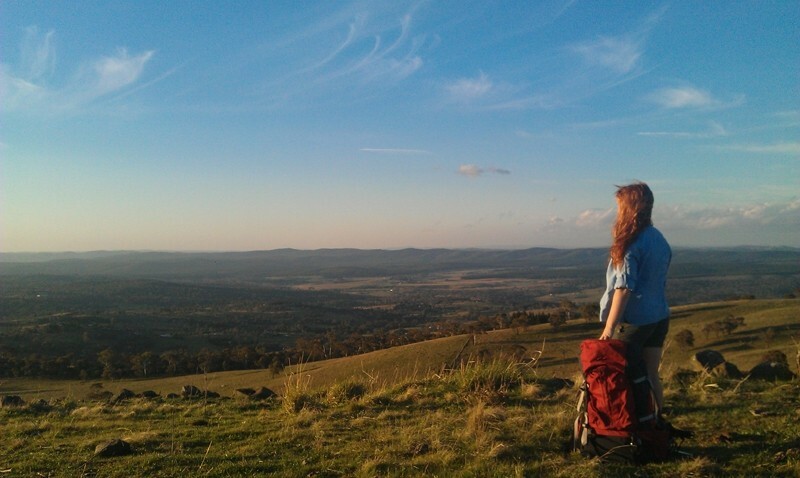 Ally will be the youngest person ever to solo-hike the 655km track, which begins in Victoria at Walhalla and ends at Tharwa (near Canberra) in the ACT. She will be assisted by a support team, but will be alone for the majority of the 6 weeks it takes to complete the trip. I became aware of Ally when she followed me on Twitter a couple of weeks ago. I immediately wanted to know more, so I asked if she would take part in an e-mail interview. So how did this all come about, Ally? In late January, after doing 109km of the Australian Alpine Walking Track, I decided I wanted to do the whole trail. I wanted to do something that would really challenge me. I decided it would be even more challenging if I did it solo. Were you inspired by any other well-known adventurers? Jessica Watson was a big inspiration. She was a young adventurer also stepping out of her comfort zone and accomplished great things in tough situations. She made me want to live life to its fullest. What else inspired you to take the trip? I have two main inspirations. The first one is Outward Bound Australia. I went to a 12-day youth navigator course, which consisted of a wilderness experience including camping, rock climbing, abseiling, leadership and teamwork skills. The course inspired me to get out there and step out of my comfort zone. The second one is Hannah Coleman, Hannah suffers from Lyme disease. Lyme disease is a tick-borne disease that almost took her life. She is a family friend of ours; unfortunately she spends most of her time in a wheel chair due to Lyme disease. However, she has had the courage to fight this disease. She is an inspiration to me. I want Lyme disease to be something people know about. Sufferers are not getting the help they need. It has been scientifically proven that ticks in Australian can carry an Australian version of Lyme disease. Unfortunately the Australian Government still has not recognized this fact and therefore the medication for treatment is very expensive. Ticks can be very common with bushwalking especially around coastal areas. People need to be aware of the danger of ticks, and what to do if they are bitten. How much hiking experience have you had previously? The most challenging trek I have done so far is the Kokoda track. I convinced my dad and younger brother to do it, because I wanted something that would be a great test both mentally and physically. We went in July this year and it was the greatest experience of my life! I have also done roughly 150km of the Australian Alpine Walking Track so far, with my family. 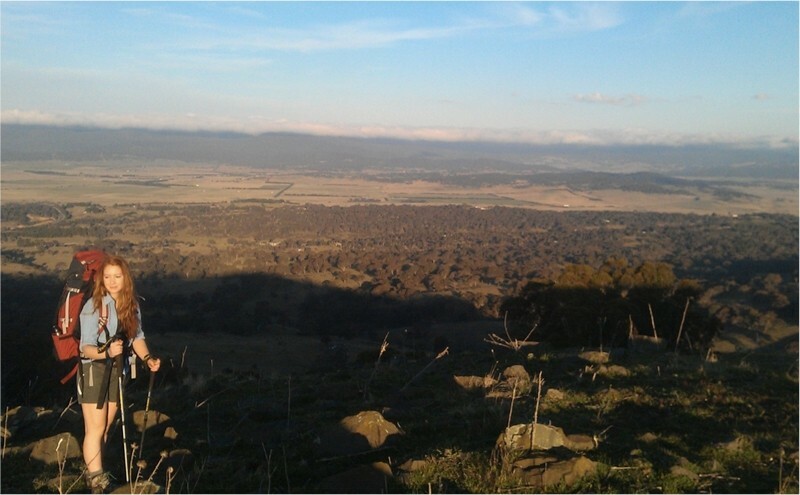 I have been going on lots of small solo hikes, around the ACT section. Mount Tenant is my favourite. What have been your challenges in the planning stage? The main challenge so far has been trying to source the right equipment as I am trying to keep the weight of my pack to a minimum, whilst not spending an extensive amount of money. So far it seems the lighter the equipment, the more expensive it is! What are you predicting will be the most difficult thing about the hike? I am mostly worried about navigation and river crossings. I am quite confident with my navigating skills but as you know things do go wrong, so the wilderness section in Victoria is my greatest worry so far. The river crossings may also be a bit difficult as they are so unpredictable and can be dangerous. Apart from the psychical side of things, the most difficult mental aspect will be spending so long without seeing anyone. Are there any parts you’re particularly looking forward to? I am definitely looking forward to the beginning in the Walhalla area. There are rainforests and a lot of history in this part of trail. I also can’t wait until I get the top of Mt Bogong, I have wanted to this for a while. How do you feel about the idea of 6 weeks of solace? This does seem like a long time, but I am looking forward to it. I do enjoy being by myself but this will be the longest amount of time I’ve spent alone. Will anyone be coming to celebrate Christmas and/or New Years with you? This is something everybody says – “So you’re going to miss Christmas? !” – and yes, I will get presents when I get home. My family will generously be meeting me at Thredbo, this will be three days after Christmas but that doesn’t matter because it probably won’t even feel like Christmas to me. How do you plan to stay motivated every day throughout the trip? My plan is to stay positive and pumped up for every day. From previous experience the middle of the day is when I become the most tired, hot, and negative, so at this time I plan to think about why I am doing this and take in the scenery because it will be beautiful wherever I am. When I get into camp I do stretches and yoga to keep me focused and to look after my body. Are you at all scared? I would be lying if I said I wasn’t, so yes I am scared about some things, but not the things that most people would think I am scared of like snakes and crazy people. I am scared about injuring myself or something happening to my support crew because I would feel 100% to blame. How do your parents feel about the trip? Dad is very excited and both mum and dad support me fully in my decision to do this. Without their constant support throughout the planning and actual hike, I wouldn’t be able to complete it. Thanks for the interview, Ally. It sounds like you’re as physically and mentally prepared as you could possibly be. I wish you all the best with your hike and I hope you get plenty of attention, to help you raise awareness of the cause. It’s definitely something that Australians, and especially those in the hiking community, should be more aware of. I’ll be keeping an eye on your progress and will try and check in with you once you’ve completed the trip. Follow Ally on Twitter at @YoungSoloHiker (Ally’s Twitter account has now been closed) and keep an eye on her blog (Ally’s blog no longer exists) during the 6 weeks of her hike, for updates on her progress. Have you ever considered hiking the Australian Alpine Walking Track? What about doing it solo? If you have anything to say, please leave a comment below. (Long time after the event) Have just read all above comments re Aly’s extroadinary adventure and am so proud of her and her family. I have never heard of Aly previously. Des – you are a mean man! I have walked some sections of the AAWT and have found the conditions quite challenging, especially under foot. Our LDS youth group recently cycled abt. 100km in relay to raise money for the charity INTERPLAST. A great effort from the youngsters which took all day. How many days was Aly treking? Sometimes it’s wise to leave ‘minor details in the scheme of things’ alone. That’s all I have to say about that. Thanks for the comment, Trevor. I was very proud of them too. I feel like this kind of courage and determination should be encouraged. All the best. My name is Isabel Brown i have turned 18 this year and i am planning on walking the Australian alpine track to raise awareness for the poor treatment of asylum seekers in Australian detention centers. i will be the only person walking the whole track but friends are going to be coming with me for a week at a time so i will always have a walking partner (multiple different ones) as mum and dad are not confident for me to go out alone seeming as its the hardest walk in Australia and i am not very experienced. i am trying to raise awareness through social media and i was wondering if you had any ideas as to the best way to go about it? but that’s about all i have done. if you could email me on izzybrownbw@outlook.com or reply to the comment i would be really grateful. Ps ally and i went to school together and she is a very lovely women. she is a very courageous women to do this walk when she was 16! sometimes its takes more courage to accept that you need help, and still continuing on even after getting lost. which can be really scary. i know personally how hard it is to do something out of the ordinary like completely and really difficult walk when you are young. because so many people think you crazy! and its hard to keep the resolve to go on. so i really praise you for being so supportive its refreshing! Just thought I’d comment here and tell you, as I said in my e-mail, that I’ll get back to you properly by e-mail asap. Just in case you are interested – Lyme Disease is rare in Australia, but it is growing. The reason people are wanting to raise awareness is that the government is refusing the admit that this disease can be caught in Australia, therefore people with the symptoms are not being tested and are having difficulty getting treatment. I have a friend who was diagnosed last year after being quite sick for several years. He was only diagnosed by luck – on holidays in the US, got sick, and they did a DNA test to confirm it was Lyme Disease (this took 6 months). It may be rare, but it is a debilitating illness that is not being addressed. There have been protest rallies in Brisbane recently to raise awareness. Thanks very much for your comment and the info about Lyme disease. It seems like a worthy cause to me, especially if it is becoming more common. This hiker (Aly Durr) is not ‘the youngest person to solo hike the Alpine Trail’as indicated in the interview and as promoted on her website. 6 weeks of solace? She is being accompanied by family members and is not walking alone as she suggests. With the added benefit of a full support team and fresh supplies, for an able bodied young hiker this adventure would be a ‘walk in the park’! Credit where credit is due, but not under false pretence of saying you’re doing doing it solo when clearly that’s not the case. As for the point of this walk being raising awareness of Lyme disease, according to my GP this disease is rare in this country and is of dubious concern being a predominantly USA affliction, so can’t understand highlighting such a non-issue. There are so many more worthwhile organisations to encourage and support in this country. I don’t know enough about Lyme Disease to know if your GP is right or wrong. It’s completely beside the point, anyway. The point is that Ally wants to highlight something that is important to her. Why you would take the time to make a comment like this (and even quiz your GP about it) in order to put down a young girl who is trying to do something good, is completely beyond me. Ally never claimed to be doing the walk without a support crew. 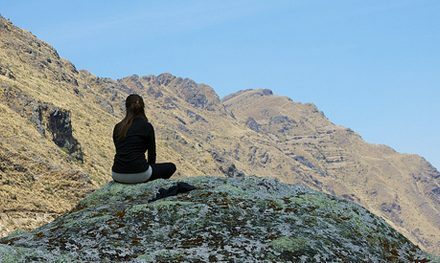 She had originally planned to hike solo, but (as you’d know if you had actually gone to the trouble of reading her blog) her confidence took a hit when she got lost a few days into the hike. At that time it was decided that, rather than pull out completely, she would be accompanied by her brother. Smart move in my opinion. I did not intend to sound so negative or diminish a young girls efforts. Seeing as I now feel the need to defend my comments, here’s another lot from me. No guts, no glory as they say, but really, if we allowed every idealistic, naive 16 year old have their head (like my son who was convinced at the same age that he was responsible and capable enough to hitch hike around Australia on a surfing trip with a mate – I’m sure he too was convinced he was doing ‘something good’), we’d be paying a dear price for rescuing them from themselves. I did indeed read Aly’s blog after reading your initial interview, which is what prompted me to write as it was evident that regardless of advertised intentions, she was definitely not doing the walk on her own, which was a doubtful unrealistic aim from the start. So I was just correcting on that point. A solo hike over such a long period was never viable for this kid, and you, an experienced hiker should know it much better than I do (with only a few longer walks under my belt) that this wasn’t realistic or safely do-able on her own without great risk. This type of effort requires not only an experienced support crew, but an immense amount of lengthy preparation both physical and mental to pull off solo, not just the single minded, stubborn determination of a teenager who has been on a couple of hikes. Her parents would have come under a lot of criticism if she had suffered a serious fall or injury requiring emergency evacuation during the panic of being lost in those first few days. That must have been terrifying for her. Plus I’m trying to imagine how a 16 year old girl could safely be walking and camping on her own when we know there are crazies out in the bush – and some of them have guns they enjoy firing off for a bit of indiscriminate night sport! Does it concern anyone that she (and now with her younger brother) are traceable and whereabouts easily tracked via the advertised public Spot device by possible dodgy types? The naivety of that accessible info to the public just makes me shake my head with disbelief. I have a pet peeve of people attaching themselves to nonsense causes (unlike your worthy and novel fundraiser hike for Sierra Leone school girls last year which I support), but that is a separate issue and fair enough if this girl has a personal connection to Lyme disease and its important to her. Still think its odd (and yes, I am naturally curious and do defer to expert opinion which is why I asked my Doc about this Lyme disease caper when I was getting my skin sun spots looked at last week). Anyway, Neil you may be annoyed by my response or question why I would ‘take the time to make a comment like this’, but I’m a bit of a cage-rattler from way back and considering nobody else has bothered responding to your interview until now, you should be happy when someone takes the time to write and possibly spark debate – regardless of whether you agree or not. A balance of all views and arguments makes for a realistic cross-section of opinions and all are valid. Remember, for every person who takes the time to comment and express a view, there are 50 others with the same view who can’t be bothered connecting. If you only want to receive 100% positive feedback or agreeable comments on any issue, you shouldn’t publish a public blog or provide a vehicle for response. Thanks for the opportunity to voice my opinions anyway. I’m actually not as grumpy or mean as I sound, I generally encourage the (realistic) endeavors of the young, and I do enjoy a nice walk and your Bushwalking blog. I hope Ally does finish the hike safely. I wont bother you again. I do wish to encourage discussion and debate on Bushwalking Blog. However when a comment comes across the way yours did, I am very likely to get defensive. Perhaps it was the way you worded it but it seemed like you were accusing Ally of making false claims, which she never did. At the time of publication of Ally’s website and my interview, Ally fully intended to do the hike solo (with a support crew as was always stated). Her blog is there for the sole purpose of keeping the public updated on her progress (which is why I provided a link to it), and a blog post announced that she would no longer be hiking solo as soon as Ally’s family knew this to be the case. I don’t personally know Ally and I don’t really know exactly how experienced she is (her answer to my question about this didn’t really give a clear idea), so I don’t actually know whether or not this hike was realistic or safely doable for her. I try not to make assumptions about people based on their age. With regard to your fears of crazies out in the bush, well I guess there’s always a possibility. But then, I wouldn’t have much hope of defending myself against a crazy with a gun either, yet I still go out on overnight hikes. I also go out in the city at night, in spite of the “alcohol and drug-fuelled violence epidemic” that the media is always harping on about. I try not to live my life in fear. Thank you for your comments, Des. I don’t have any wish for you to leave me alone. Please come back and comment again. I do apologise if either of my responses have come across as overly harsh.